Do you want a 1920s-style bungalow at a great price? West Ridge is the place. Now is the time. West Ridge may best be described as a well-kept secret. 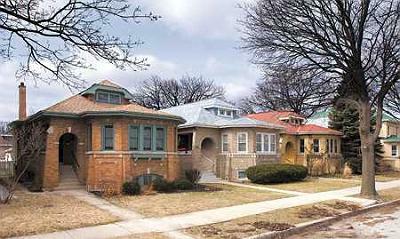 Compared to its Rogers Park, Uptown, and Lincoln Square neighbors, West Ridge is quite underrated. Don’t expect that to last very long, though. West Ridge is an excellent value, full of vintage 1920s architecture and as culturally diverse as its nearby neighborhoods. I predict prosperity—a renaissance for West Ridge. After all, West Ridge sold more single-family homes than any of its neighboring areas. Single-family homes are excellent for a neighborhood, with a greater tendency toward owner occupation. Get in now while West Ridge is still affordable and still something of a secret.Attention, buyers: The average sale price of vintage West Ridge bungalows in the last six months was $308,400. Not only are West Ridge bungalows filled with 1920s-era charm and character, but they are located in a neighborhood where Rogers Park Metra station is easily walkable. Another convenience : A new Dominick’s Fresh Store has just made its new home in the area, on Damen north of Devon. Attention, sellers: Last week, I met with about 25 homeowners from the West Ridge Bungalow Association at the Northtown branch of the Chicago Public Library in West Ridge. Happily, 32 West Ridge homes sold during the second quarter of 2009 (based on statistics from the Chicago Association of Realtors). This is an increase of 30% over the second quarter of 2008. Median prices were lower than in 2008, but with good reason: Short sales and foreclosures accounted for 11 of the homes that sold. My advice to these 25 homeowners: Don’t lose heart because I’m predicting increased demand for single-family homes. Condo dwellers are tiring of the communal life, where they tend to experience considerably less privacy than in a standalone home. Noise levels generated by close living can make communal living a bit too close for comfort. Also, homeowner association fees are tricky and sometimes tack on unnecessary charges (it’s always wise to take a look at a recent association financial statement before buying a condo). Some CCR’s (Covenants, Codes and Restrictions) can be rather prohibitive as far as the bylaws of property use. Usually, you are quite limited as to the exterior improvements you can make on a condo. Not so on a standalone home. In addition, some associations may prohibit pets and not allow the renting or subletting of units. You are free of such rules as the owner of a single-family home. So, if you are a West Ridge seller or plan to sell even in a few years, it’s never too early to spruce up your home. Painting far and away offers the best return on your investment. Also, even if your older home hasn’t the latest furnishings, keep it clean and uncluttered. Taking a minimalist approach will make your home more attractive and spacious to prospective buyers. Your landscape is the first thing buyers see when they approach your property. Make it appealing to the eye, and they’ll want to see the inside of your home, too. A fabulous resource for landscaping ideas is The Rogers Park Garden Group. Interested in supporting local landscape improvements? Donate your items to the Second Annual Indian Boundary Rummage Sale. To donate items, please call Michael Oster at 773-507-8095. Attention, bungalow lovers! Don’t miss the Bungalow Expo on Saturday, October 17 from 10 a.m. to 4 p.m. at the Merchandise Mart. If your budget will allow, updated kitchens and bathrooms provide a nice return on your investment. 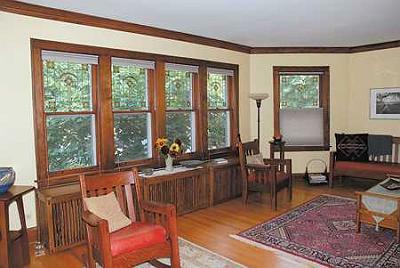 Buyers love when these rooms are tastefully updated yet flow with the vintage feel of the bungalow. With move-in kitchen and bath conditions, you might just have a bidding war over your home. Generally, though, even modest updates of kitchens and baths can bring a close return on costs. Visit our website and read our newsletter for Cost Versus Value of Home Remodeling Projects.